This handout only applies when you own some gear of Ubiquity. (I have also other hardware, here you might have to make some configuration as well, my situation is explained. 1st Create a guest network with VLAN100. Do this only if you have the USG. If you do not have an USG this does not apply cause the network part in the controller is for use with the Unifi USG router. If you use “Guest” it is already isolated from your corporate LAN. Modify other settings like DHCP in this menu. This I do not explain. Notice: I have an US-8-150W. 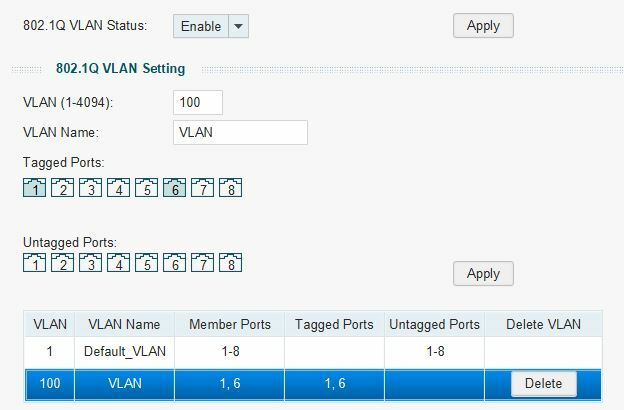 When creating a VLAN Guest network in the profiles part of the controller the ports will be configured automatically. As long as you have all profiles accepted on the ports, the VLAN will directly work if your AccessPoint is directly connected to the Unifi Switch. In my situation I have 2 AccessPoints behind a smart switch and 1 AccessPoint connected to a dumb switch what is connected to the US-8-150W (all devices eventually come to the US-8-150W as the uplink is the USG Router). Here you see the VLAN section of the SG2216 where I tagged port 16 (uplink port towards the Unifi Switch) and port 10 connected to the AccessPoint. Now this AccessPoint is also serving VLAN towards my Guests. 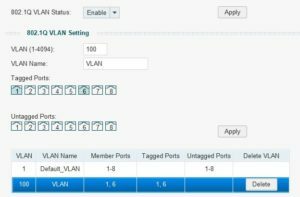 Maybe you wonder what will happen to your normal LAN clients when you enable or tag ports on VLAN100: your normal LAN is not tagged and the switches will forward your data normally.